I suppose The Labyrinth Index marks the time in the Laundryverse when horror overtakes humor, and the combining apocalypses leave the characters nothing to do but get on with it in the face of diminishing hope for the human race, but honestly it makes the book a bit of a slog. The Laundry is, or by the time of The Labyrinth Index, was, a secret agency of the British government devoted to defending the realm from supernatural enemies, mostly unspeakable Things from beyond the walls of time and space that like nothing more than feasting on consciousness, especially of the human kind. The series began as a mashup of The Office, spy novels, and H.P. Lovecraft, leavened with a hefty dose of Stross’ manic glee. Over the course of eight books, it has become clear that the barriers between the mundane world and the dimensions full of soul-eaters are weakening, and this could go very badly for humanity. In the seventh book, all pretense of secrecy was blown away, as an army of extradimensional elves with dragons for air support invaded northern England and made a hash out of downtown Leeds. In the eighth, apocalypses started piling on top of each other, as Bob Howard, the series’ main protagonist, fought to prevent the UK government from being taken over by the avatar of an Elder God, and lost. As The Labyrinth Index opens, the Laundry has been officially disbanded, but the new Prime Minister wants to stand up a new organization that can take offensive sorcerous actions against the enemies of the realm, as designated by the PM. He gives that task to Mhari Murphy, former MBA at a large bank, former Laundry HR, and now full-time vampire. She’s the main narrator and protagonist of the book, and to tell the truth, I have never warmed to her as a character. The PM, or New Management as Mhari refers to him, is inhuman and has plans for the UK (and the world) that are only marginally less horrible than extinction. Mhari likens the New Management to a beekeeper with humanity as his hive, and he’s only interested in fending off worse things because he wants us to make honey for him. Such is the cheery world of The Labyrinth Index. The worse things are currently stirring up trouble in the USA, and Mhari’s task is to assemble a team that will put a spanner in their works. The American counterpart to the Laundry, casually referred to as the Nazgûl though their three-letter agency name is quite different, has been captured by cultists who want to bring back to our dimension an entity that is even less well disposed toward humanity than the New Management. As part of the plan, they have laid a geas over most of the country to forget that there is a president. The idea is that they will be able to substitute in a new focus of belief for 300 million people, helping to immanentize their particular eschaton. The real president is still out there, on the run but protected by a small band of Secret Service who manage to remember who and what he is. Mhari’s team is to figure out what’s actually happened, and if possible make contact with the president to either offer him political asylum or improvise something equally inimical to the Nazgûl’s plans. As thrillers go, The Labyrinth Index is not half bad; the bit with the Concorde is neat. But it’s missing the humor and dark glee that have been a trademark of the Laundry series even in its bleakest moments. 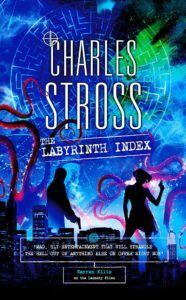 It’s been a very difficult year for Stross, and The Labyrinth Index was not the book he had originally planned to bring out in 2018. In the story, there are some hints at efforts to avoid the worst apocalypse and get Britain out from under the New Management. 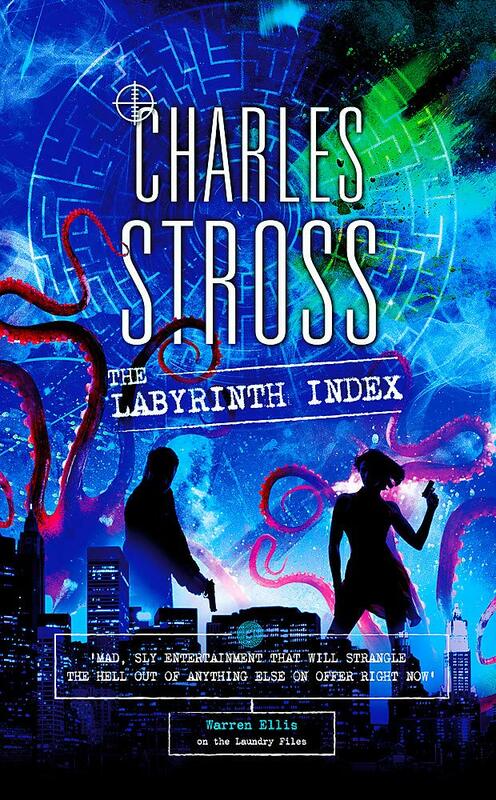 I hope Stross shows more of that in the next Laundry book, and I definitely hope that he has a kinder fate in store for Pete the vicar, because what appears to have happened to him in The Labyrinth Index feels like an arbitrary betrayal. Most of all, though, I hope that whenever Stross returns to the Laundryverse, he finds the humor again.